Indy’s also includes a new transit center, just an FYI 😉 You can see it in the lower portion of the photograph. 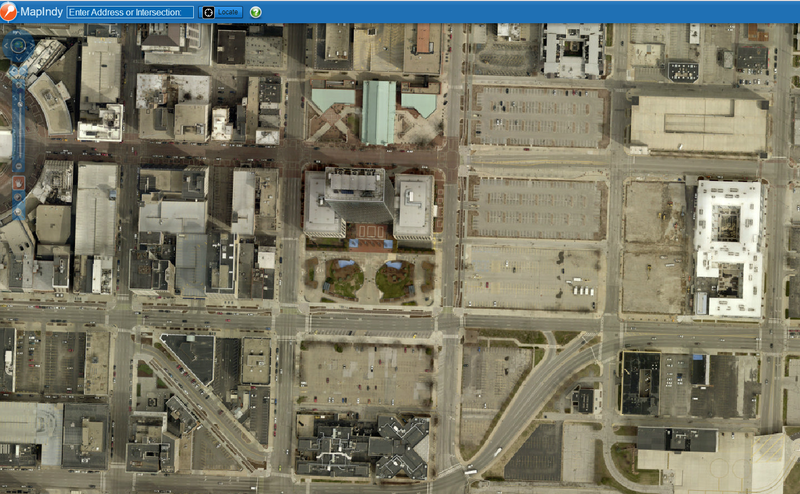 Looks like that Indy infill is part of a larger story about removing the Market Square Arena parking crater. Here is a 1999 vs 2018 aerial. I have to give that the nod over DC just for the scale of it. 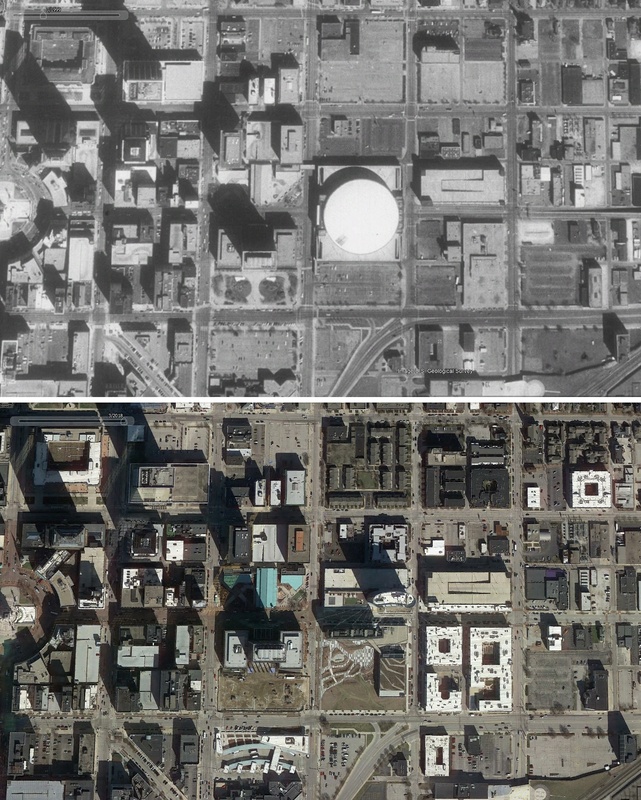 Indy’s story of change there is a huge one, I lived in one of those apartments on the left side of the second photo and the number of people walking and biking to things from this place is nothing but a remarkable change towards sustainability and vibrancy. They’re both good, but I’m giving the nod to Indy because they fixed up the street too. The DC Pike re-development is still surrounded by a moat of wide and dangerous arterial stroads. If you look closely on Streetview you can find several parking garages in the Park & Rose project. One is 5 stories, another is 4 stories, and another is 3 stories. There may even be more. 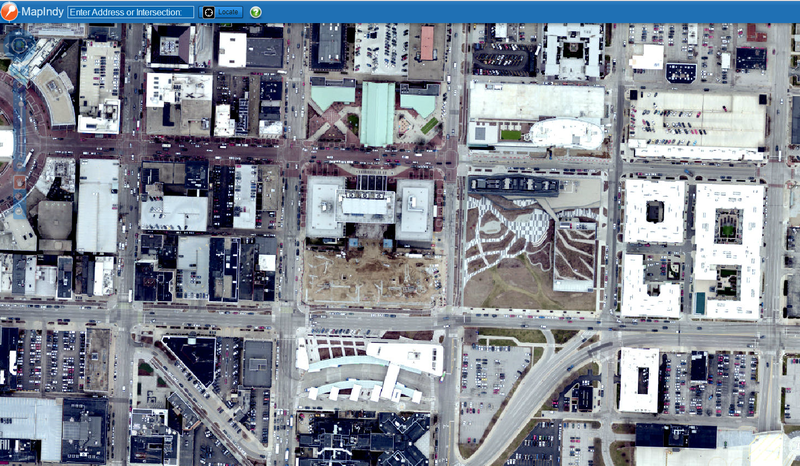 Just looking from the satellite view you don’t see the parking garages, in-fact the 4-story garage has a green roof. There is fairly close to as much parking as there was there before redevelopment but it is fairly well hidden. The Indy site has at-least one good-sized parking garage too which appears to be 7 stories. Stacking parking in a multi-level garage makes for more land available for other uses but there is still plenty of parking available on both these sites. 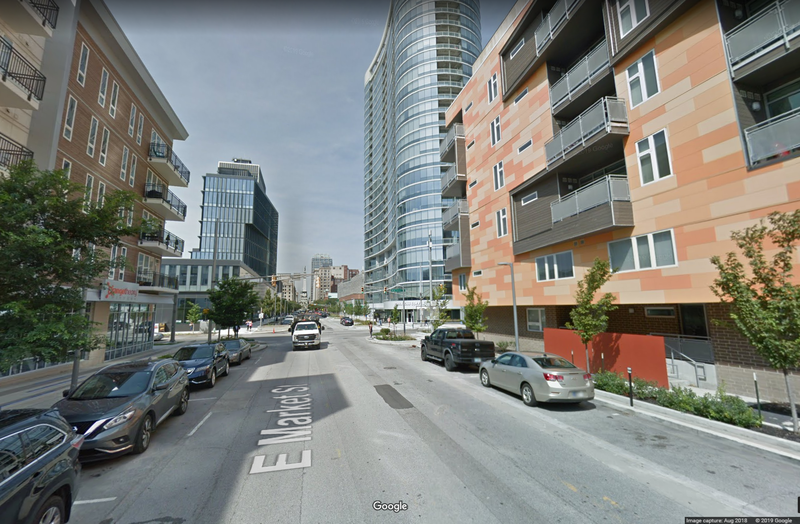 Apples and Oranges–one’s in the city where there should be density, while the other is part of one of suburban DC’s largest stretches of retail (about 3 miles of retail, broken by a municipal center). Pike & Rose (behind where I work) has almost entirely chain retail and other than REI (which faces busy Rockville Pike unlike other retail), the stores never seem to have customers. The restaurants, which generally are doing better than the retail, are probably more chain than local (and the locals are local chains). 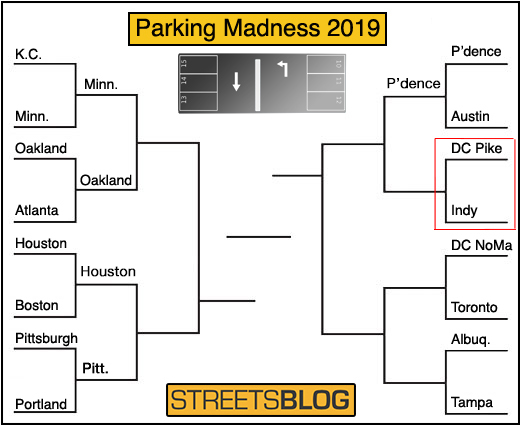 The hidden aspect of the parking is both a positive and a negative–the one carryover from the old strip (which had long running local retail as well as classics like the no longer in business ToysRUs) was La Madeline, a french bistro-themed cafeteria-style fast casual restaurant–LaMad was very popular with local seniors, but the hidden parking seems to have been the main reason La Mad failed in the new complex. 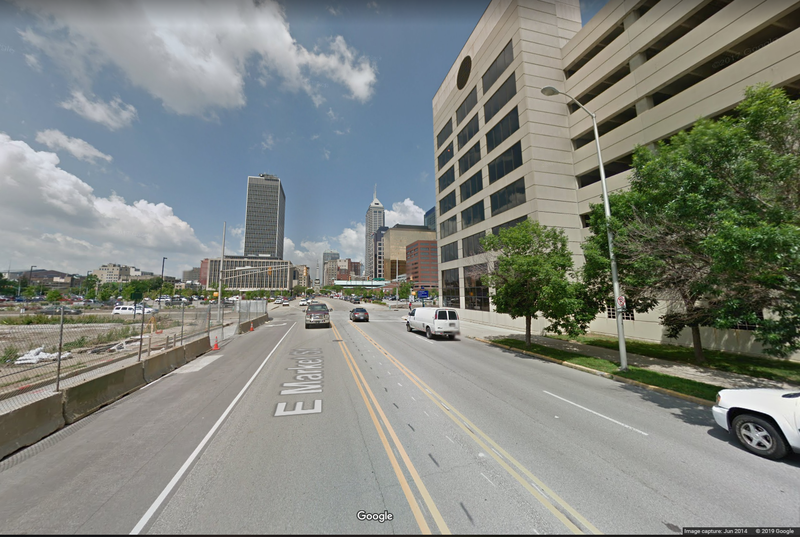 The downside to the development in Indy is that it’s in Indy–one can only hope that the surprisingly long, but inevitable death of Circle Centre will help downtown create more of a pedestrian environment rather than uninviting environments like this new one (narrow side walks too close to the street and no one walking, it seems).